Dress Up Your Drink! Introducing a New Age of Beverage Insulation...the Pocket Huggie! 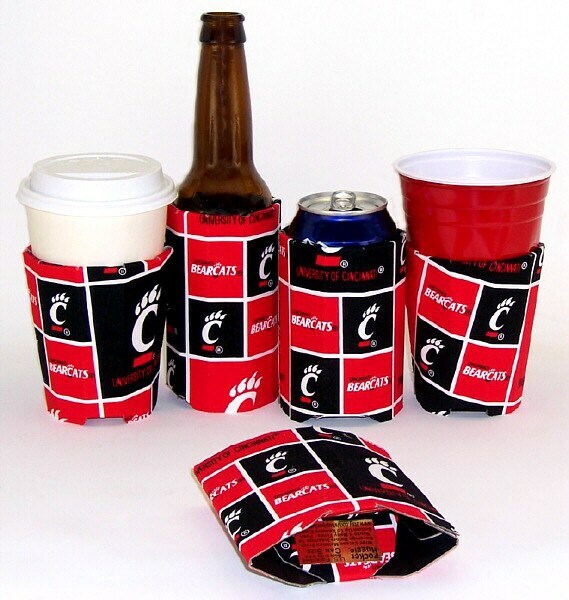 NOT your traditional Beverage insulator, NOT NEOPRENE or FOAM. 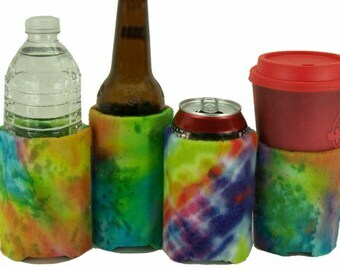 The Pocket Huggie is a unique type of beverage insulator for any special occasion! Stylish, fun and amazingly functional, it makes the PERFECT FASHION Accessory! The patented design is made of a strong corrugated paperboard structure providing a firm ergonomic grip, durable enough to last hundreds of uses. The Pocket Huggie insulates the beverage by surrounding it wth a thin layer of air. Thus, maintaining drink temperatures either hot or cold, while allowing your hands to remain comfortable and dry. This keeps condensation from forming inside of the Pocket Huggie keeping it dry. Works like MAGIC! 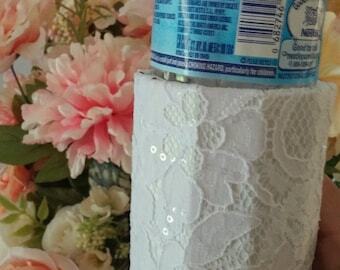 Replaces the need of coasters and wet napkins around drinks. 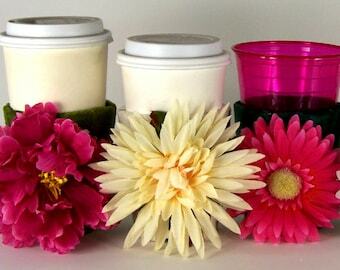 It's superior insulation for hot beverages saves the waste of 100's of coffee sleeves! Folds flat for easy portability. *CUP SIZE -12-24 oz. Solo Cups, Stadium Cups, Pilsner glasses and MOST Starbucks hot/cold Cups. *GLASS BEER BOTTLE SIZE - Most glass and metal beer bottles.